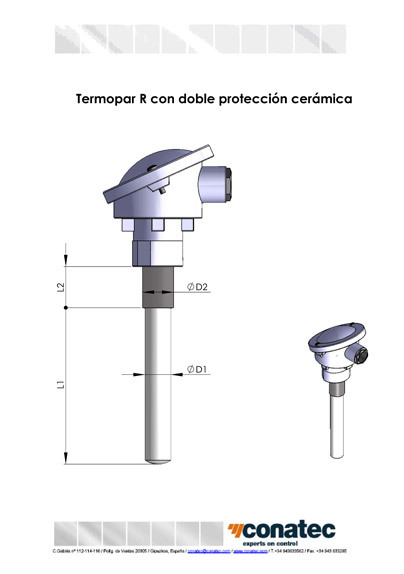 The type R thermocouple (Pt-PtRh13%) has applications which are similar to those of the type S thermocouple with it usual range of use being between 500ºC and 1,600ºC. Due to the increase in the percentage of rhodium it is somewhat more stable if used in operating areas close to 1,600 ºC. 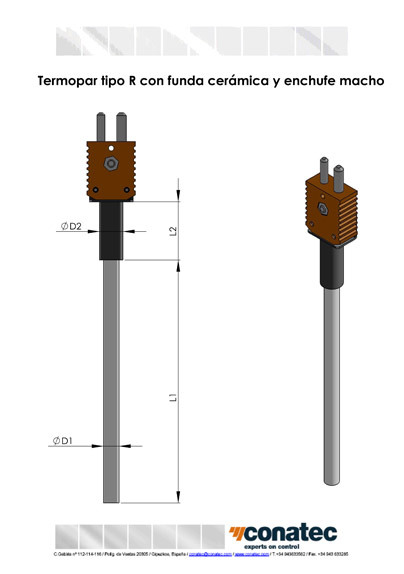 The most frequent use diameters of the thermocouple wire are 0.5 mm, 0.4 mm, 0.35 mm. 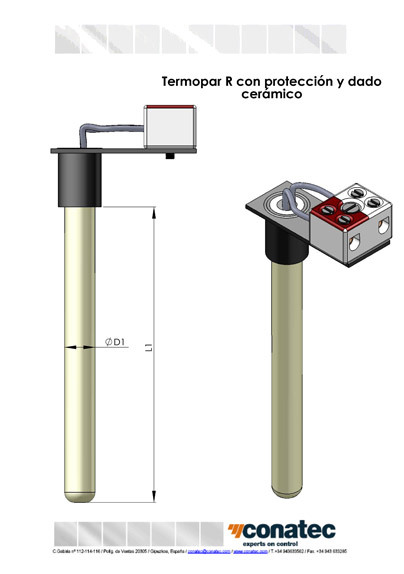 The higher the operating temperature the more recommendable it is to use larger wire diameters. 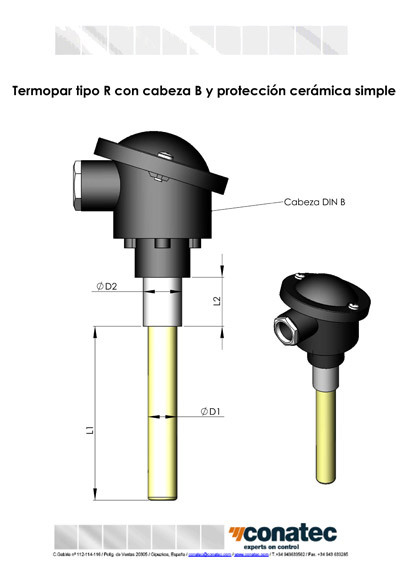 The usual assembly of these types of thermocouples corresponds to an exterior ceramic protection structure, single or double, with different types of ceramic depending on the application and the operating temperature, and an electric connection using a standardised connection head. 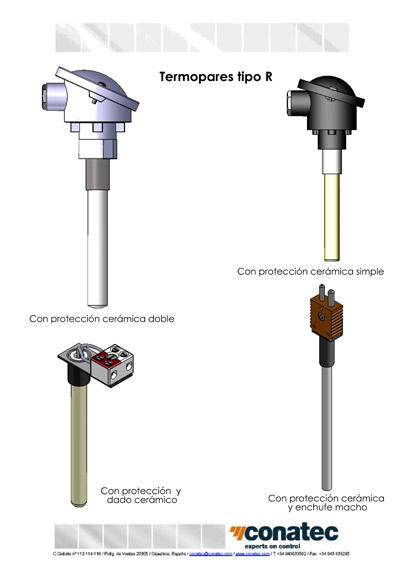 The most usual constructions coincide with those of the type S thermocouple.